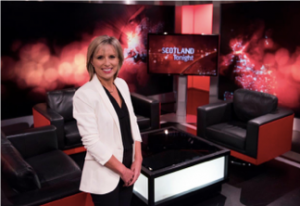 Rona Dougall is a well- known TV Presenter & journalist based in Edinburgh. She is an experienced event host and is available to book for award ceremonies,presentations, conferences and charity events. 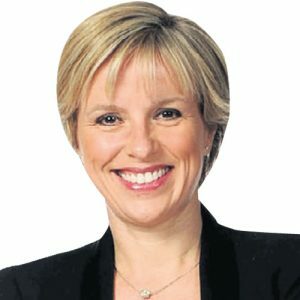 She began her career in the Radio Forth newsroom, before becoming Scotland Correspondent for Sky News.During her 16 years there she covered many headline stories, including the Dunblane massacre, the trial of the Lockerbie bomber at Camp Zeist in the Netherlands, the death of Princess Diana from Balmoral, the opening of the Scottish parliament and several Scottish elections. Rona was also part of the British BAFTA award winning team which covered the terrorist attack at Glasgow airport. She has been the presenter of Scottish Television’s flagship politics and current affairs programme “ Scotland Tonight ” since it began in 2011. Rona chairs discussions with guests in the studio, as well as interviewing big names from the world of politics and show business including Donald Trump & Ricky Gervais to name a few. For events and conferences that require a confident MC or a talented chair who can bring a discussion or training session to life turn to this highly competent professional. Recently Rona has chaired the Scottish Council for Development and Industry annual forum, the Business Insider Awards, the Independent Press Standards Organisation Scottish road show and the Scottish Learning Difficulties Awards.